It's been such a long time since I've used my faithful old Janome. I pulled her out and set her to work. It's slow going but getting there. The first stitches made me sigh in happiness. 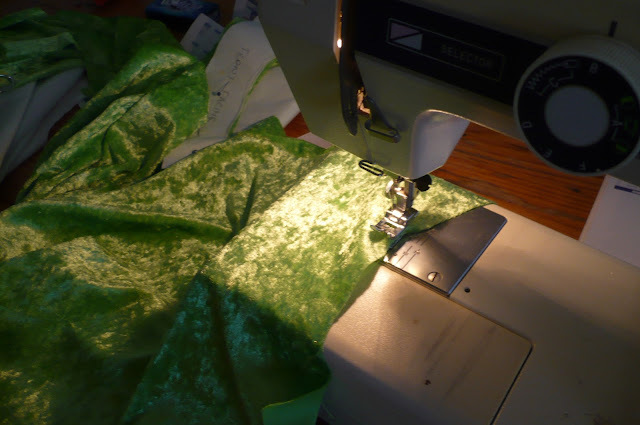 lime green, stretchy, crushed velvet!